Well, friends, here is my honest progress report. Well. I hate to disappoint you, but I didn’t meet the goal. Whomp, whomp. I did pretty good though, in that I walked 12 treadmill miles in April. For someone who walked 2.5 miles in March, zero in February, and 7 in January, I think the 13 in April is quite successful. Work on some professional goals. I did wonderful with this goal. I just can’t really speak on the changes quite yet. If we are friends on Facebook, then I’m sure you know what is happening, but if not, it will hopefully be revealed here in the very near future. Actually, I should continue. I know exactly what I had in mind when I wrote this goal on 4/1/14 (the secret above), but I’ve also done some great things with other professional goals too. Spry has just launched the fourth issue. We’ve published some incredible writers and poets and I do hope you’ll check it out. I’ve also done some interviews for Spry and also scheduled a mini-series which will be published between issues. I really rocked it professionally this month. Write 35 more small stories/essays. Nothing happened here. I think a lot of the reason I didn’t get to any of my own writing was that I was hyper-focused on the writing of everyone else (as the editing and publication period for Spry was this month). I did start writing some ideas to work on, but nothing has stuck quite yet. Again, another laughable effort here. My apartment is quite clean, like always, but I didn’t get a chance to power clean. Honestly, I don’t think that this will happen until after the honeymoon, so it looks like this will turn into summer cleaning! 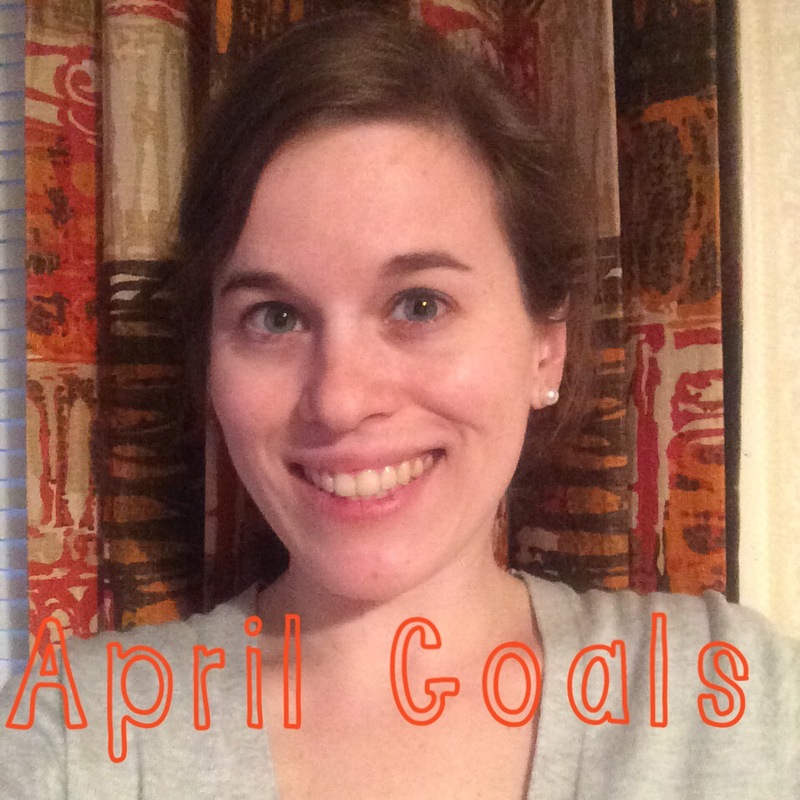 Stay tuned tomorrow for May’s goals!